Fariq Abdul Hamid, Zaharie Ahmad Shah Pilots on Missing MH370 Flight: Who Are They? Shah joined the airline in 1981 and has 18,365 hours of flight experience. He’s a 53-year-old Malaysian resident. He was described as an aviation geek by a Malaysian Airlines co-pilot who flew with him in the past. “He was an aviation tech geek. You could ask him anything and he would help you. That is the kind of guy he is,” the pilot told Reuters. Shah had a Boeing 777 simulator at his home in a suburb on the outskirts of Kuala Lumpur, with easy access to the airport. The simulator, which Shah showed off in photos posted on Facebook, had three computer monitors among other equipment. “We used to tease him. We would ask him, why are you bringing your work home,” said a pilot who knew Shah for 20 years. Shah also collects remote-controlled, miniature aircraft, a sign of his passion for aviation. Malaysia’s Department of Civil Aviation certified Shah to conduct simulator tests for pilots, several officials from the airline said. They said that he couldn’t have been behind whatever happened to the plane. “He knew everything about the Boeing 777. Something significant would have had to happen for Zaharie and the plane to go missing. 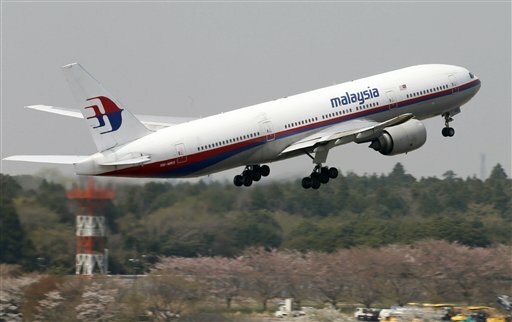 It would have to be total electrical failure,” said another Malaysia Airlines pilot who knew Shah. Shah may be Muslim, as his niece Dee Hassan said via Twitter that she was praying to God, asking him to protect her uncle. One of her tweets was a retweet of a relative who referred to Allah. He is remembered as an active community member who cooked dishes and brought them to neighborhood gatherings, reported the New Straits Times. “You’re lucky if you have a neighbor like him,” said one of his neighbors, Rahim Zainun. There is 120 houses in Laman Seri, the neighborhood, and everyone was close knit. “I have known him since 2008 and we are good friends. Whenever there is a gathering, he always helps out with the food and preparation,” he said. Another neighbor said that he cried when he learned what happened. Hamid is also a Malaysian. The 27-year-old joined the airline in 2007. He has 2,763 hours of flight experience. Fariq is the the youngest son of Selangor Public Works Department deputy director Abdul Hamid Mad Daud, reported the New Straits Times. Not much is known about Hamid with the focus more on Zaharie, but a shocking revelation emerged this week as a tourist recounted how she and a teenage girlfriend spent an entire flight in the cockpit with Hamid and another pilot in 2011. “Throughout the entire flight they were talking to us and they were actually smoking throughout the flight which I don’t think they’re allowed to do,” Jonti Roos told Channel 9. Roos, a South African who is traveling around Australia, posed for pictures with her friend Jaan Maree and the two pilots. Roos insisted that the pilots were in control. “”I did feel safe. I don’t think there was one instance where I felt threatened or I felt that they didn’t know what they were doing,” she said. Malaysia Airlines investigators are looking into the account.